Start as king or as governor? The kings of Kingdoms shoulder great responsibilities. They invite new, promising governors to the realm, negotiate with other kingdoms, and often even organize defense and offense alike! This is such a huge role that it’s one of the most frequently discussed topics both in chat and on the forum. A great or… well, less great king can make or break the game for many governors within their realm. We usually require players aspiring to become kings to have a minimum amount of prestige to accept said role at the start of the game. This ensures the king is a seasoned player. And we’ve certainly read the suggestions to increase this minimum prestige but, while that seems like an obvious choice, we now know that just wouldn’t solve this issue. The core of the issue is that the minimum prestige constraint is automatically disabled for the king role whenever there aren’t enough kings playing on a world. A game called Kingdoms doesn’t play that well without any kings! That measure was intended to be for exceptional cases. But we found out through our internal tracking tools that actually, a significant number of completely new players – having no prestige at all – not only can choose to be king, but frequently do so. And, you’ll certainly agree, most of the time having someone who has never even played the game before is definitely not the preferred choice as leader of a whole kingdom of players! 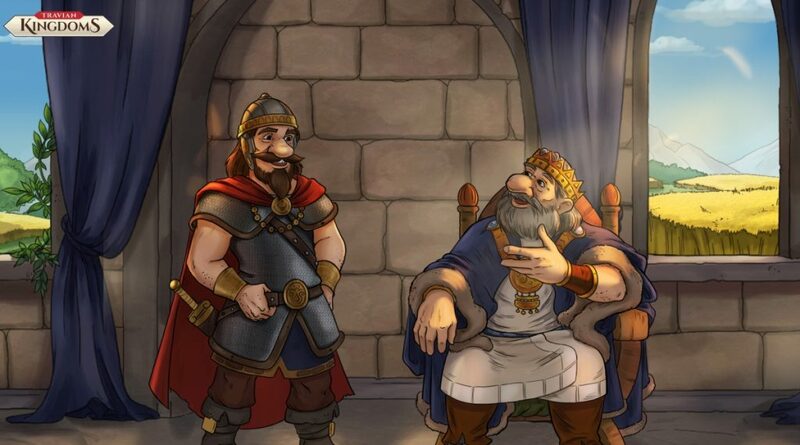 The question is: With so many seasoned players playing Kingdoms, why do these veterans not choose to play as kings? While there are many possible answers, including personal preference, one of them is measurable. The most skilled players will usually seek to play the most optimal strategy. And if one of these roles is at a disadvantage at any time, they might choose the objectively preferable one. Even though they were capable of playing as the other. Kings and, to some extent, dukes, do have many responsibilities. Despite that, they are also usually economic powerhouses for 99% of the game. The amount of tributes a king can collect quickly surpasses by far the amount any governor can earn by keeping robbers at bay. Unfortunately, for 1% of the game, they weren’t all that powerful. And that 1% was, unfortunately, precisely at the start of the game, when most players – including new ones – join a game world and are presented with the choice of becoming king. To a large extent, robber hideouts caused this imbalance. The first dozen robber hideout appearances contain a default amount of resources and stolen goods. This ensures that new governors have the best possible experience within the game. And that they have a lot of vicious NPC foes to plunder during the beginner’s protection! Unfortunately, the value of the contraband recovered by governors in these early hours of the game was quite underestimated. At least, when you compare them to the meager tributes the kings could collect in the same time. In the meantime, all their governors are still building up and barely earning anything themselves. While it may seem pointless to look at the first few hours of a game that lasts for months, this difference can make or break expert strategies. They are intend to settle very quickly, maybe grab a rare 15 cropper, or just to settle closer to their friends. The NPC governor who already accompanies kings for the first 10 days has received a big boost. Instead of providing an average amount of tributes of 600 resources per hour, they now provide 1,000 resources per hour. We have also leveled up the warehouse of the NPC governor so that kings don’t have to fetch tributes more often. As soon as the king can perform the “Collect Tributes” quest during the tutorial, we spawn some resources into the governor’s tribute chest for the player to collect. The amount of resources that the king can collect from this NPC governor during this quest was increased by a whopping 800%, from 160 to 1,280! Yeah! There was a slight (but by no means unpleasant!) issue in the configuration of the first robber hideouts. The stolen goods a player could recover increased up to four. When the balanced algorithm took over, the amount would drop right back to two. The early robber hideouts for governors now no longer contain more than two stolen goods. 4. Granted kings an equal maximum duration of beginner’s protection as governors. Initially, it may have seemed intuitive to grant less ‘beginners’ protection for a role that is meant to be played by seasoned veterans. These seasoned players will surpass the limit of 200 population more quickly and end their protection voluntarily. Great kings especially will have a lot of communication to do in those early days. Therefore, they may even need protection for longer than governors in order to be able to perform their duties well. Then, they have time to concentrate on setting up their kingdom in the first few days, unharmed by raiders. The peace of mind afforded by the protection, in case it proves necessary, may help a lot in choosing the king role with more confidence. These combined measures still don’t make kings deliberately overpowered. We hope that they will encourage more seasoned players to choose the king role right from the beginning of a world, with all the confidence the role deserves. Have a nice day and enjoy your golden crowns!